Look no further than Ezychoice for the very latest in designer eyewear including men, women and childrens prescription glasses, frames, sunglasses and eyewear accessories. Order the highest quality prescription eyeglass lenses including single vision lenses, bifocal eyeglass lenses and progressive eyeglass lenses at a fraction of the cost charged by other optical providers. Using your optometrist’s prescription, order your glasses and sunglasses from the comfort of your own home with Ezychoice simple to use onling store. 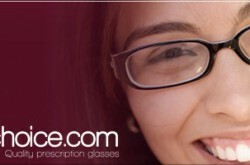 It has never been easier to find affordable, fashionable, high quality eyewear. Look your best with Ezychoice precision engineered eyewear.